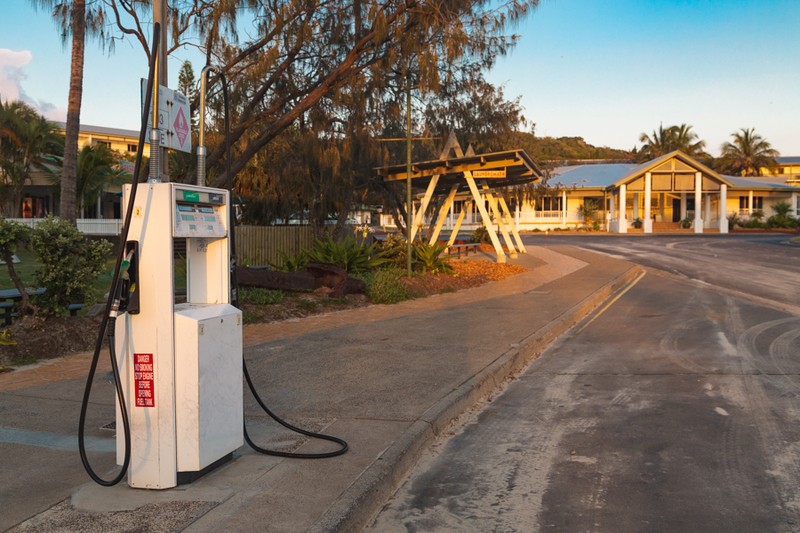 Fraser Island has five locations on the island where fuel can be purchased. Four are found on the eastern side, with one of the western side of the island. Eurong is found on the eastern side and is the most southern settlement on Fraser Island. It is the closest to Hook Point where the Fraser Island barge lands and has fuel available at the general store, which is found near the beach entrance resort. Eurong also has a bakery, restaurant and bottle shop nearby. Happy Valley is found north of Eurong and also had fuel available to visitors. Fuel is available from the general store, which is found on the main road. Here you will also be able to get groceries and other supplies. Cathedrals on Fraser is a campsite on the eastern side of the island which has a shop with supplies and groceries, camp facilities and a place to refuel. Orchid Beach, found on the northern end of the island past Champagne Pools, also provides fuel at its general store. It is the farthest location you can refuel from the ferries and barges. Kingfisher is where the Fraser Island ferry docks on the western side of the island. Here you will find fuel readily available, as well as plenty of other supplies. Kingfisher also has the most dining options and bars on the island. Fuel on Fraser Island is usually more expensive than fuel on the mainland. For this reason, those conducting their own 4WD tour often fuel up on the mainland and bring additional fuel in a jerry can if they are able. However those spending several days and nights on the island will likely have to fuel up at some point, where these five location will come in handy! It's recommended that you plan your routes accordingly so you do not run out of fuel in an inconvenient place on the island!